I’m going to start by saying that I am a huge Zack Snyder fan. The director has given us some memorable films over the years including some of his earlier work such as the fantastic Dawn of the Dead remake, 300, and helped bring Alan Moore’s comic book adaptation of Watchmen to life. Snyder doesn’t get the credit he deserves. This is a man who has finally brought us a DC cinematic universe to life after many failed attempts. While Christopher Nolan crafted a brilliant Dark Knight trilogy, other directors were attempting to help establish a comic book universe long before Marvel began theirs with Iron Man. After Bryan Singer left his X-Men films, Singer decided to try a DC movie and made Superman Returns starring Brandon Routh as Superman. That movie became a flop and failed to start a cinematic universe. The Ryan Reynold’s led Green Lantern movie was yet another attempt to jump starting a DC cinematic universe, but again this film failed on all levels. Another poor attempt led Warner Bros. to once again rethink their strategy of creating a film universe filled with all of our favorite DC heroes. A few years later, Zack Snyder jumped on board and became the one to firmly establish a DC cinematic universe. If there’s one thing we should all be thankful for this Thanksgiving, it’s Zack Snyder’s hard work by finally bringing the Justice League to life. Zack Snyder officially started this DC universe with 2013’s Man of Steel, just one full year after the failure of Green Lantern. The movie was very divisive by both critics and audiences. This was a very different #Superman movie than the Richard Donner films as well as any animated movies and television shows that portrayed this character. 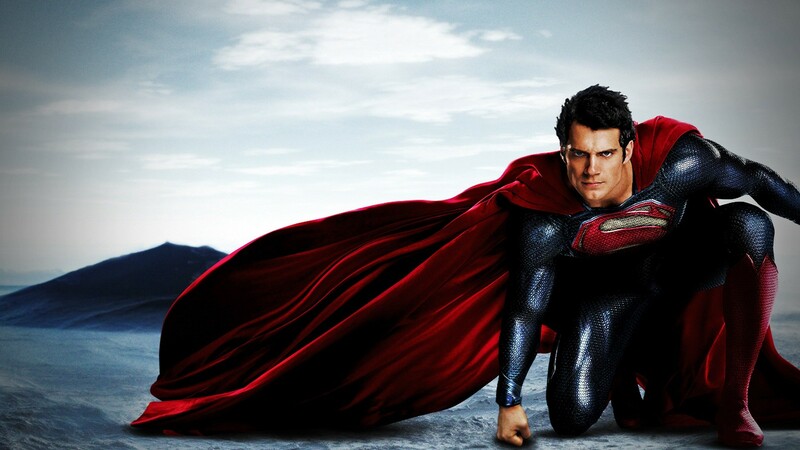 #ManofSteel gave us a great version of Superman. The Superman in this movie had to make many tough decisions throughout including having to kill one of his own Kryptonian brethren to save humankind. This film was more about Clark Kent becoming Superman than actually being Superman. It was tonally different, but in my eyes it worked as the film dealt with a deeper understanding of what it means to be a hero. With much respect to Christopher Reeves, #HenryCavill gave us a great modern day Superman and is a movie everyone should revisit. Say what you will about Batman v Superman: Dawn of Justice, but Ben Affleck’s portrayal of Batman is arguably the greatest Bruce Wayne/Batman we’ve ever been given on the big screen. And who should we be thanking for this incredible casting? That’s right, Zack Snyder. “He had the experience of Batman that we know sort of collectively in pop culture. I wanted a Batman that had been Batman for 20 years and I felt like that character had a chance against Superman because he could outthink him.” –ABC News. In my opinion, Snyder chose the definitive Batman. Many fans laughed and scoffed at the notion of Affleck playing the caped Crusader upon the casting news. No one is laughing now. Earlier this year, Snyder had to go through something no family should ever experience and that is the death of one of his children. One of four children Snyder had from his first marriage, his daughter Autumn committed suicide on March 12th, 2017. Autumn was one of two girls who he and his former wife Denise Weber adopted from China. She died at the young age of twenty years old. This unfortunate circumstance took a toll on Snyder and his family which led him to leaving the Justice League project early. While Joss Whedon was already involved with the Justice League movie, Snyder asked him to kindly take over the project during post-production. Whedon gladly accepted and made sure that Snyder’s work would be completed to meet its November 16th release date. With the man who directed the first two Marvel Avenger’s movies, Joss Whedon has taken over the driver seat to finish Justice League. One would imagine with Whedon taking over that this movie could be tonally or vastly different. This couldn’t be further from the truth. It seems that these two directors have a great chemistry together and have crafted one hell of a film for fans to see. Many questions have surrounded this project as to who should be getting the overall directing credit on this film. While this movie had been finished a while back, the post-production process has been going on for over a year including some of the planned re-shoots that have also taken place. Thankfully, we may finally have an answer to this query. I think that pretty much sums it up. It appears that the vast majority of the film will have been from the mind of Zack Snyder. 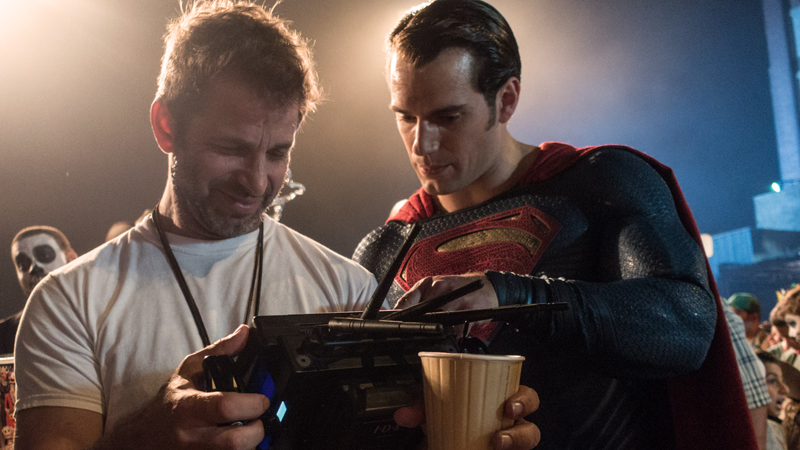 Though Whedon’s stamp will certainly be recognized in the film, Snyder will be the one to receive a director’s credit. It stands to reason that a #JusticeLeague movie should have been made a long long time ago. A movie of this caliber has been in talks for quite some time. 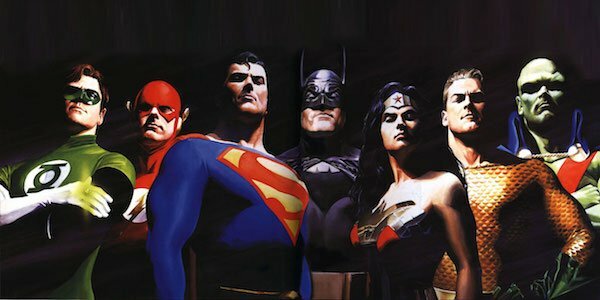 In fact, Mad Max: Fury Road’s director George Miller was supposed to helm the project titled Justice League: Mortal. The film was slated for production in 2007 with a 2009 release date. Based off the Justice League Animated Series, the film would have casted Armie Hammer as Bruce Wayne/Batman, Megan Gale as Diana Prince/Wonder Woman, Adam Brody as Barry Allen/The Flash, Santiago Cabrera as Arthur Curry/Aquaman, and D. J. Cotrona as Clark Kent/Superman. The film’s budget skyrocketed and unfortunately the project was eventually scrapped. According to some sources, Justice League: Mortal’s budget would have gone upwards of $300 million. That was simply too high of a risk for Warner Bros. to take, and the project was canceled. With the start of Man of Steel, Zack Snyder envisioned what it would be like to see all of our favorite DC heroes team up on the big screen. 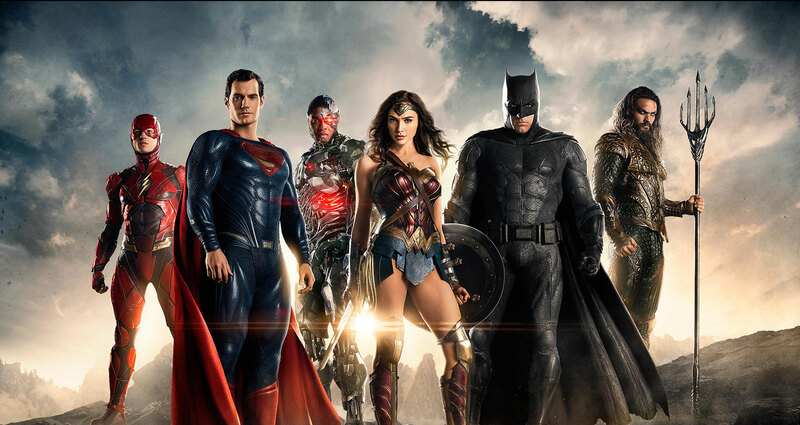 Those dreams have finally become a reality as Justice League is slated to hit theaters on November 16th. Zack Snyder has come through to bring us a film fans have been clamoring for. After many years of waiting, we will finally be seeing all of our DC heroes fight the good fight in an epic battle against a New God named Steppenwolf and his Parademon’s. I would encourage you all to see this film no matter what fans or the critics say. Go in with an open mind and judge the movie on its own merits. Whether this film is good or bad, we should be thanking Zack Snyder for giving us a film we’ve been asking for during our lifetime. The man has put his blood, sweat, and tears into this production. Snyder started this DC universe strong giving us Man of Steel. He then went on to direct Batman v Superman: Dawn of Justice and gave us a great performance out of all the actors including #GalGadot as our #WonderWoman. Snyder also helped write and produce Patty Jenkin’s Wonder Woman movie which became a smash hit with audiences and critics alike. Snyder is also an executive producer on next year’s #JasonMomora led #Aquaman movie. There’s a lot we should be thankful for during this years Thanksgiving and I believe Zack Snyder’s Justice League should be one of them. So those were my thoughts on Zack Snyder’s vision on building this DC universe. If you need a reason to go see ‘Justice League,’ do it for him and support all of the hard work this team has put together. Are you all excited to see this movie? Go ahead and share your thoughts in the comment section below!